VersaCourt's click together latching mechanism and innovative process make installation so easy that your whole family can help. 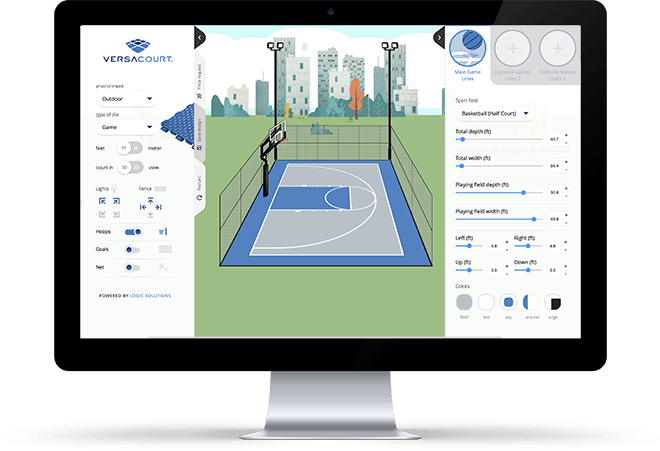 All courts are fully assembled in our warehouse and all requested lines and logos are pre-painted by our team of professionals in a controlled environment to ensure accuracy and longevity. We then number each section, disassemble your court and pack the tiles according to your numbered diagram. This process makes your VersaCourt DIY installation a breeze. 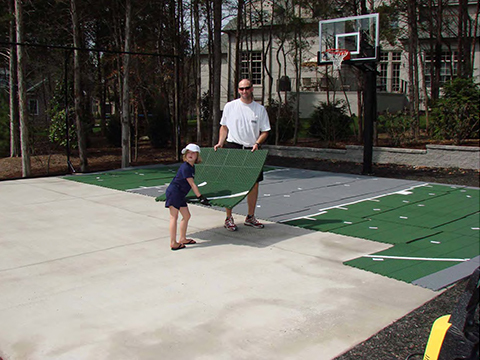 A VersaCourt game court is made up of tiles, each measuring 10.13" square. These tiles are connected by a simple, yet precise interlocking mechanism. This picture shows the hook side and the receiver side of the tile. 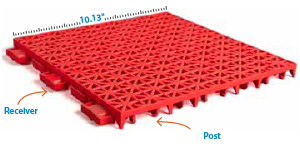 VersaCourt is a suspended tile surface designed to be assembled on a flat, durable subsurface. In many cases, the courts we design will be placed over existing concrete slabs, driveways or other surfaces so the subsurface preparation is limited. 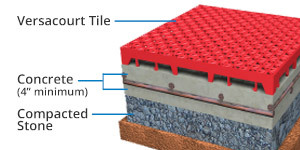 In those cases where a subsurface needs to be installed, we typically recommend using concrete or asphalt bases. Learn more. As noted above, all courts are fully assembled, painted, numbered, disassembled and packed in a way to make the court assembly process as easy as possible. We call this the VersaCourt Difference and it is one of the things that makes us so unique.